Welcome to CDS PARADIGM podcast hosted by Bassist Christopher Dean Sullivan. A Podcast verve consisting of New Music Artists of various genres, Spoken Word, Interviews, Messaging, and Commentary based on Current News, Community, Human Interest, and more. On CDS PARADIGM there are some Amazing and Thought Provoking subjects and topics intertwined within an Ebullient format. A place where all can learn from each other, share ideas, and information that will make our world community stronger and productive. CDS PARADIGM ~ NEW EPISODE ALERT!! Episode 10 / Season 1 ~ "We Are Sounds Within the Music"
CDS PARADIGM Ep10/ Season 1 Thank you for tuning in to another Episode of CDS PARADIGM. This is episode 10 of season 1, continuing to entice the imagination to expand...you digg. Keeping with the unrelenting aspect of playing various musical directions, and as always, moving forward furthering its Quest. This Installment I trust will vibrate the transitions throughout. Playing artists, as always, that are generally not heard on main stream forums, and helping in building the fan base. In this installment you'll hear the late great Betty Carter performing her tune “Tight” with pianist John Hicks, bassist Curtis Lundy, and drummer Kenny Washington; drummer Beaver Harris, playing “Aladdin's Carpet” from his 360 Degree Music Experience – Beautiful Africa album; vocalist Gregory Porter performing his song “On My Way To Harlem”; flautist Shani Andrews playing her tune “Garnet” from the Birthstone CD; commentary by guitarist Dom Minasi of Cecil Taylor; pianist Cecil Taylor performing “I Love Paris”; Rendition of Freddie Hubbard’s Freedom Jazz Dance by pianist Bill Pernice, drummer Michael TA Thompson, and bassist Christopher Dean Sullivan it’s retitled: “Freedom of the Jazz Dance”; Marvin Gaye featuring the title cut from his Lost Album 2019 release: “You’re The Man”; Remix rendition of the tune “Secret Garden” by guitarist / songwriter /producer Larry Mcgee; NEA Jazz Master vocalist Sheila Jordan with pianist Steve Kuhn performing “My Ship”; saxophonist Kamasi Washington playing his tune ‘Re Run Home’ ***************************** Shout and Thank You to Miki Dash for her generous donation to CDS PARADIGM, and sending the music and material on flautist Shani Andrews ***************************** Along with commentary Thanks again for tuning in, and your continuous support of CDS PARADIGM podcast. Any comments are all welcome. E-mail: christopherdeansullivan@gmail.com ***************************** CDS PARADIGM Podcast is a verve consisting of New Music Artists of various genres, Spoken Word, Interviews, Messaging, and Commentary based on Current News, Community, Human Interest, and more. On CDS PARADIGM there are some Interesting and Thought Provoking subjects and topics intertwined within an Ebullient format. A place where all can learn from each other, share ideas, and information that will assist in making our world community stronger and collectively productive. This is the Tenth Episode in Season One of CDS PARADIGM Podcast. You can also listen to past episodes well. Check it out when you are available to do so. Listener Support is always welcome. Your donation supports future episodes, while connecting to the cultural world community through a modern media format. Thanks for tuning in and being here. CDS PARADIGM NEW EPISODE ALERT!! Episode 9 / Season 1 Inside the Music with a Smile ********* CDS PARADIGM Ep9/Season 1 Thank you for tuning in to another Episode of CDS PARADIGM. This is episode 9 of season 1, continuing to entice the imagination to expand...you digg. Keeping with the unrelenting aspect of playing various musical directions, and as always, moving forward furthering its Quest. This Installment I trust will have you smiling throughout. Playing artists, as always, that are generally not heard on main stream forums, and helping in building the fan base. In this installment you'll hear the group brand Snarky Puppy; pianist/vocalist Mala Waldron with reedist/flutist Allen Won playing her original song “Mon Amour; saxophonist Dale Fielder playing the third movement from his “Suite: Clarity” CD; percussionist Jim Pugliese and his Phase III project; paying homage to the one and only Nat King Cole’s 100th year; Nat King Cole and Natalie Cole performing “Unforgettable”; Chuck Mangione featuring Ester Satterfield performing the tune “Land of Make Believe”; guitarist Jack Turner doing hid rendition of the Beatles composition “A Day In The Life”; vocalist Alexandra Burke singing a spirited version of the Leonard Cohen tune “Hallelujah”; keyboardist / pianist Derrick Bounds. ***************************** PRI THE WORLD Report Remembering Nat King Cole Producer Zoë Saunders and Producer Tommy Bazarian Nat King Cole performs in Chicago in 1954. Nat King Cole performs in Chicago in 1954. Credit: Phillip Harrington/Alamy Stock Photo Nat King Cole was born on March 17, 1919, so in honor of his centennial, Studio 360 looks back at the great crooner’s legacy. Kurt Andersen talks with Daniel Mark Epstein, who wrote a biography of Nat King Cole, about the singer's groundbreaking TV variety show. “The Nat King Cole Show” ran on NBC for just over a year, 1956 to 1957, but despite its short life, the show was a hugely important cultural landmark: it was the first network TV show starring an African American, and the only one until the mid-1960s. “He was the Jackie Robinson of the television world,” Epstein says. ***************************** Along with commentary Thanks again for tuning in, and your continuous support of CDS PARADIGM podcast. Any comments are all welcome. E-mail: christopherdeansullivan@gmail.com ***************************** CDS PARADIGM Podcast is a verve consisting of New Music Artists of various genres, Spoken Word, Interviews, Messaging, and Commentary based on Current News, Community, Human Interest, and more. On CDS PARADIGM there are some Interesting and Thought Provoking subjects and topics intertwined within an Ebullient format. A place where all can learn from each other, share ideas, and information that will assist in making our world community stronger and collectively productive. This is the Nineth Episode in Season One of CDS PARADIGM Podcast. You can also listen to past episodes well. Check it out when you are available to do so. Listener Support is always welcome. Your donation supports future episodes, while connecting to the cultural world community through a modern media format. Thanks for tuning in and being here. CDS PARADIGM Ep8/Season 1 ~ New Music and Artists, along with Those that are Known. Hello I Trust All are Doing Well, and Thanks for Tuning into the weekly podcast of CDS PARADIGM, with host Bassist Christopher Dean Sullivan. Bringing new music, conversation, civic and entertainment news, thought provoking human interest subjects…and more, while connecting to the cultural world community through a modern media format. Making available music and commentary that is not generally available on main stream formats. CDS PARADIGM NEW EPISODE ALERT!! ~ Music of New Orleans ********* CDS PARADIGM Ep7/Season 1 Thank you for continuing to tune in to CDS PARADIGM. This is Episode 7 of season 1, continuing to entice the imagination to expand...you digg. Keeping with the unrelenting aspect of playing various musical directions, this episode is moving forward furthering its quest. This Installment is dedicated to the music of New Orleans. In this installment you'll hear pianist Ellis Marsalis; guitarist Wayne Boyd; pianist/vocalist Dr. John; Trumpeter/vocalist Louis “Satchmo” Armstrong; vocalist Aaron Neville; vocalist Patté Terrell singing Miss Cellie's Blues, featuring Pittsburgh guitarist Eric Johnson; pianist/vocalist Professor Longhair; guitarist/vocalist Earl King; New Birth Brass Band doing Smoke That Fire; guitarist/vocalist George Benson playing a cut off his latest recording on Provogue Records [George Benson - Nadine (Is It You) (Walking To New Orleans)]; accordionist/vocalist Buckwheat Zydeco; PRI The World report New Orleans and Haiti are linked by Culture, Food and History: In 1809, when the Haitian Revolution ended and Haiti became independent, thousands of free black, white, and other enslaved people fled to New Orleans, doubling the city's population in just a few months. Today, many New Orleanians, black and white, trace their ancestral roots to Haiti. Along with commentary. Thanks again for tuning in, and your continuous support of CDS PARADIGM podcast. Any comments are all welcome. E-mail: christopherdeansullivan@gmail.com CDS PARADIGM Podcast is a verve consisting of New Music Artists of various genres, Spoken Word, Interviews, Messaging, and Commentary based on Current News, Community, Human Interest, and more. On CDS PARADIGM there are some Interesting and Thought Provoking subjects and topics intertwined within an Ebullient format. A place where all can learn from each other, share ideas, and information that will assist in making our world community stronger and collectively productive. This is the Seventh Episode in Season One of CDS PARADIGM Podcast. You can also listen to episodes 1 through 6 as well. Check it out when you are available to do so. Listener Support is always welcome. Your donation supports future episodes, while connecting to the cultural world community through a modern media format. This is the 4th installment in the first season of CDS PARADIGM with host Bassist Christopher Dean Sullivan. Continuing with new music from various artists, with diverse approaches. In this episode you'll hear music from the Infinite Spirit project, which consist of pianist Bob Gluck, trumpeter Eddie Henderson, drummer Billy Hart, and bassist Christopher Dean Sullivan; vocalist Renee Marie; alto saxophonist/arranger Oliver Nelson; pianist Patrick Poladian and the NEMA project; Les Nubians: guitarist Dom Minasi; alto saxophonist Eric Person; James Ingram and Patti Austin. Commentary on the Jazz Workshop Inc., Virginia Governor Ralph Northam, and much more. 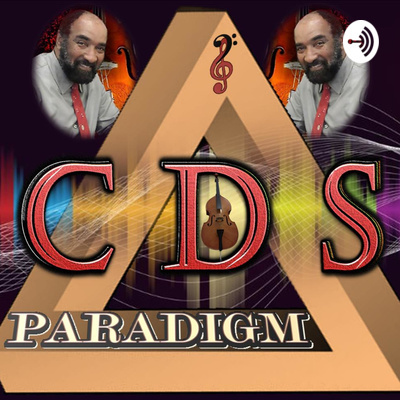 Welcome to the 3rd Episode of CDS PARADIGM podcast hosted by Bassist Christopher Dean Sullivan. On this Installment there is music from various artists and genre directions... vibraphonist Rick Altman, La Fuerza, Oliver Nelson, Language of Swans (soprano saxophonist Joe Giardullo, bassist Christopher Dean Sullivan, drummer Michael T.A. Thompson), trumpeter Matt Jordan, vocalist Renee Marie, alphornist Eliana Burki. Interesting PRI World report on Saudi Arabia looking to invest in Entertainment. Commentary and Reflection. CDS PARADIGM Podcast is a verve consisting of New Music Artists of various genres, Spoken Word, Interviews, Messaging, and Commentary based on Current News, Community, Human Interest, and more. More New Music, some spoken word, Update on the $130,000 Wheat Penny, The Power of Music, Why Paying Bills can be a Joy, Jazz Workshop Inc., TMO Entertainment. Bassist Christopher Dean Sullivan launches his first episode of CDS Paradigm. There are mentions of R. Kelly's proposed fate, discriptions of the music being played, and the $130,000.00 bid on a rare 1943 copper penny...as well as other topics.